Pvt. John Kemp, Jr., son of Mr. and Mrs. John P. Kemp, Minera Wells, husband of Laura Vanhooser, attended Graham High. 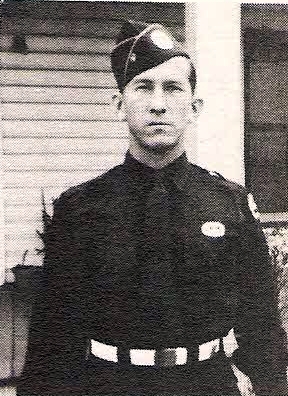 Entered Paratroops, 1942, trained at Camp Blanding, Fla., Ft. Bennng, Ga., N.C. and Port Stuart, Ireland. Served in ETO. Awarded GCM, Pres. Cit., Inf Combat Award, Purple Heart and ETO Ribbon with 1 Battle Star. Wounded in St. Mere, Eglise in 1944. Discharged in 1945.